I am finding no excuses for what my husband has done to me. When I try to forgive, it is very difficult for me to cultivate any sense of empathy toward him. What would you suggest to help me forgive? You need not find any excuses for your husband’s behavior if you are to forgive him. Forgiveness is not based on finding excuses, but instead is based on seeing his worth, not because of what he did, but in spite of this. Further, try to see his inner world. Is he wounded in any way? Confused? Do you see a human being rather than someone who is less than human? These kinds of perspectives can increase empathy and foster forgiveness. Suppose someone has not asked me to forgive them. Is it all right under this circumstance to hold onto my anger? What would be the point of holding onto your anger in this circumstance? If the anger is excessive, it could bring you down (reduced energy and unhappiness, for example). Holding onto anger is not a successful strategy to get another to ask for forgiveness. Too often people who hurt us and keep on hurting us are unconcerned about our inner world. In such a case, our forgiving can set ourselves free from inner agitation. This then can free up energy to work on genuine communication and possibly reconciliation with the other. Is there any advantage in forgiving and reconciling compared with forgiving and not reconciling? If I forgive but do not reconcile, will this weaken my ability to forgive in the future? There is no general rule regarding forgiving and not reconciling. In other words, your not reconciling with someone who is not remorseful or who is unrepentant (when acting very unjustly against you) should not weaken your ability to forgive in the future. In contrast, if you refuse to reconcile with someone who in fact has remorse, has repented and, where possible, has given recompense, then you need to examine your own inner world. Perhaps you have excessive mistrust or resentment and these can get in the way of future forgiving. 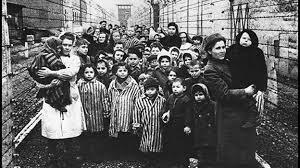 Viktor Frankl, a survivor of the Holocaust and a world renown psychiatrist, made the point that the only ones who survived concentration camp were those who somehow could find meaning in what they suffered. 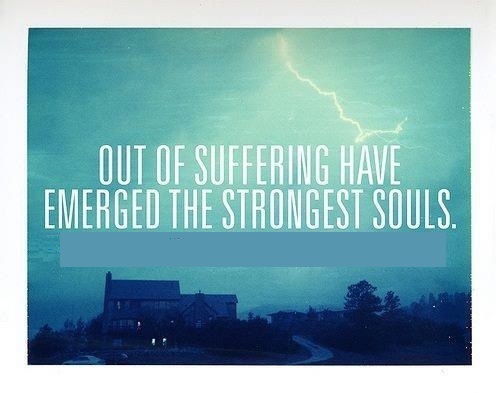 Those who saw their suffering as meaningless died. In other words, finding meaning in this case meant to find life. What fascinates me about Dr. Frankl’s observations is that finding any meaning seems to count in staying alive. Whether a person saw the suffering as a way to toughen the self, or as a way to reach out to other suffering people was not the main point. I wonder now, in reflecting on Dr. Frankl’s broad view of meaning in suffering, whether he had it entirely correct. Yes, it may be the case that any meaning can keep a person alive. Yet, what kind of meaning in suffering actually helps a person to thrive, not just to live? Perhaps people thrive only when they derive particular meaning from suffering. Of course, we do not know for sure, and any comment here is not definitive because it is open to scientific investigation and philosophical analysis. With that said, I think that when people realize that suffering helps them to love others more deeply, this is the avenue toward thriving. How does suffering help people to love more deeply? I think there are at least three ways this happens: 1) Suffering makes people more aware of the wounds that others carry; 2) Suffering makes people more determined to help those others bind up their wounds, and 3) Suffering gives the sufferer the courage to put into action these insights and motivations to make a difference in the lives of others. to thrive: 1) Those who deliberately love in the face of suffering grow in character, each becomes a better person, and 2) The recipients of this love-in-action have their well-being enhanced. As those who suffer see the fruit of their loving actions, this increases satisfaction with life, increasing thriving. When we have been treated unjustly by others, this is an occasion of suffering. Let us cultivate the habit under this circumstance of finding this meaning: I have an opportunity now to love those who have hurt me. The one avenue to loving the unjust is to forgive them. Let us remember this meaning to forgiveness: “In my forgiving, I am someone who can love despite hardship.” As we say this routinely and come to know it is true, we may find that we have been given an opportunity to thrive as persons. The self-help literature seems to emphasize emotional healing once one forgives. My question is this: How can I use my own journey of forgiving to benefit others? We have to make a distinction between what forgiveness is and one important consequence of forgiving, namely being healed of powerfully negative emotions. When we forgive, we offer goodness toward the one who hurt us. The paradox is that we as the forgivers, then, can experience emotional relief. Yet, that is not the end of the story. As you forgive, you begin to know the pathway of forgiveness and now can help others, such as family members, think about and practice forgiving. Your experience might prove to be valuable to those who are new to the process of forgiving. How can I put my anger aside so that I now want to forgive and am able to actually forgive? I do not think it is a matter of putting your anger aside. Instead, it is a matter of going ahead with forgiveness, if you so choose, even when angry. I say this because our science shows that as people forgive, their anger tends to lessen. So, you might want to start the pathway of forgiving even when you are angry. The process may help you reduce anger. In other words, you do not have to wait until the anger lessens before you start to forgive. Are there acts so terrible that you should not, as you say, give a gift to the other? Some people will not forgive certain people for certain acts. Yet, other people will forgive others for the exact same kind of act. Thus, it seems to me that it is not the act itself that is out of bounds to forgiveness. Instead, the one who was injured is not ready to offer forgiveness. We have to be gentle with people under these circumstances. We are not all ready to forgive others at the same point of the injury. We have to be careful not to condemn those who need more time or who are ambivalent about forgiveness in a particular circumstance.